The place for people who love pets! Have you seen our cool baby birds? If you’ve been in the store recently ,you may have seen an aquarium at the front counter. It’s our incubator for baby cockatiels. 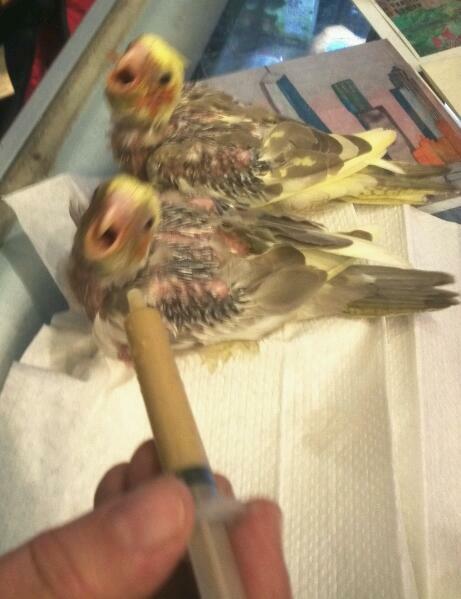 Sheila is in the process of hand feeding them ; by acting as the parent, these birds will grow up acting like they are just part of the flock. Find Wilmette Pet Center on Twitter and Facebook or give us a call now at 847.251.6750. You can also keep up-to-date with all our news and events with our RSS feed. Thanks for visiting! Welcome to Wilmette Pet Center on the web! Have a look at our collection of care sheets, our monthly specials,and our pets waiting to find a home. Get special savings and discounts, and stay up to date on the newest fosters by clicking the link below. It takes just a moment, and we'll make it worth your while! One of the cutest and most unique pets we know. Start your dog off right in the new year with these exciting new foods!